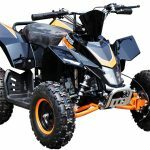 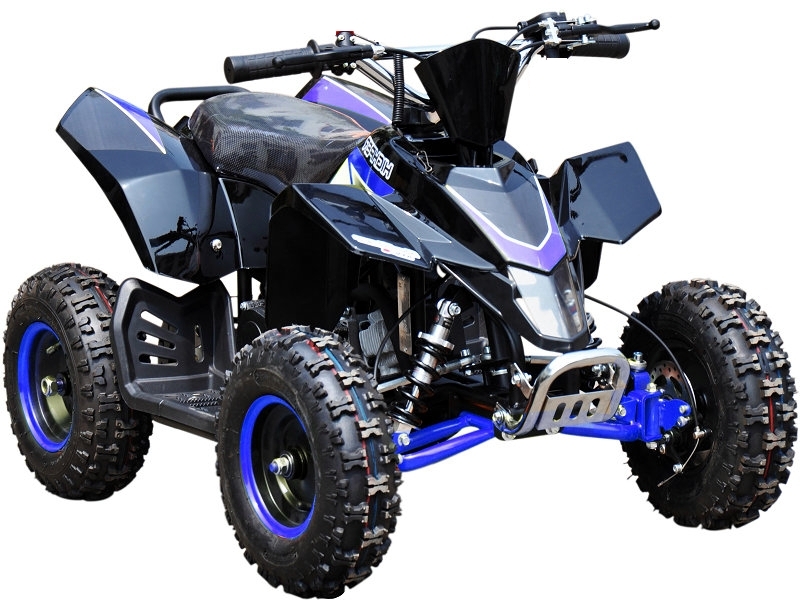 The 49cc Mini Quad Bike is a top of the range 50cc Quad Bike with a build quality that surpasses all other Mini Moto quad Bikes. The SX-49 racing style 49cc Mini Quad Bike looks fantastic with its futuristic Racing Styling, attractive colour coded suspension and wheel rims plus quality chrome plated front bumper but it also delivers with the features including larger diameter wheels and chunky tyres, upgraded 140mm drilled disk brakes with EBC pattern pads all round, latest generation 50cc two stroke engine, 190mm fully adjustable shocks front and rear, sealed SuperDry long life wheel bearings, 2 spring racing style clutch and great sounding twin exhaust system. The safety features have not been overlooked either with safety cut-out tether, adjustable throttle restrictor and full wraparound foot plates keep the riders feet away from the moving wheels. All these features make the SX-49 racing style 50cc Mini Moto Quad Bike stands out from the other quads available on the market. These 50cc Mini Moto Quad Bikes are aimed at younger kids where the light weight and nimble handling make them easier and safer to ride. 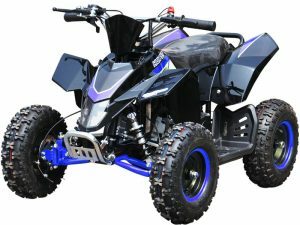 The power can be restricted to provide the appropriate amount of power for the riders ability plus there is a safety tether that can be operated by the parent for extra security. 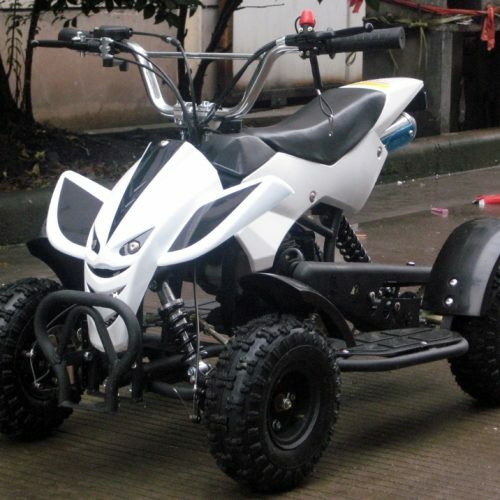 This 50cc Mini Moto Quad Bike has been designed with safety in mind and conforms to current EU and CE standards. 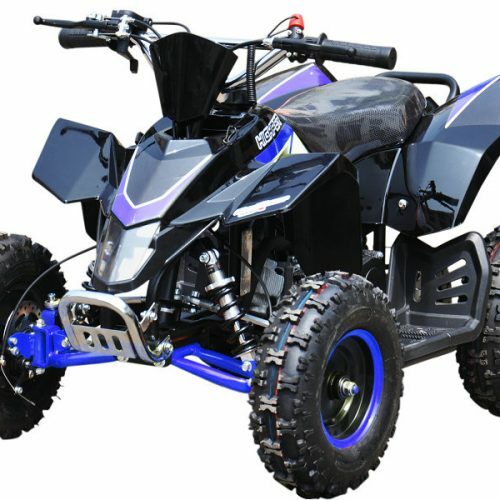 The safety features include a throttle restrictor to slow the Quad down to a safe pace if required, allowing the rider’s confidence to grow. Then as the riders confidence improves simply open up the throttle settings and the SX-49 will allow more performance. There is also a engine cut off safety tether which can either be used on as a button on the handlebars to enable the supervisor to stop the Quad should the rider loose control or a safety tether attached to the rider’s wrist to bring the Quad to a safe halt should the rider become unseated.